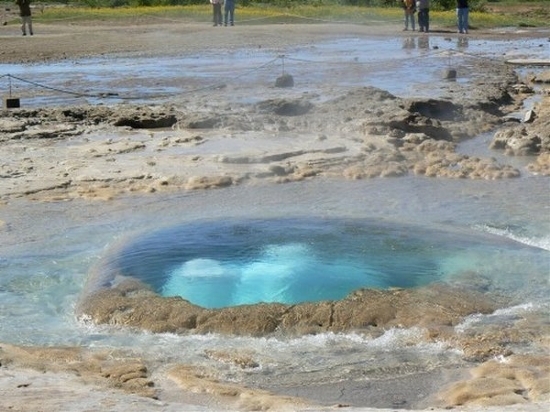 The body of water housing hot springs can vary in size. 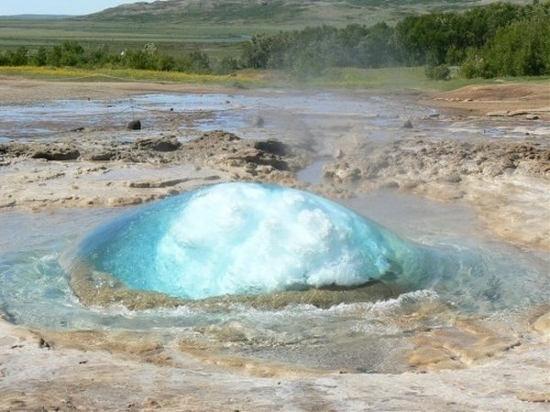 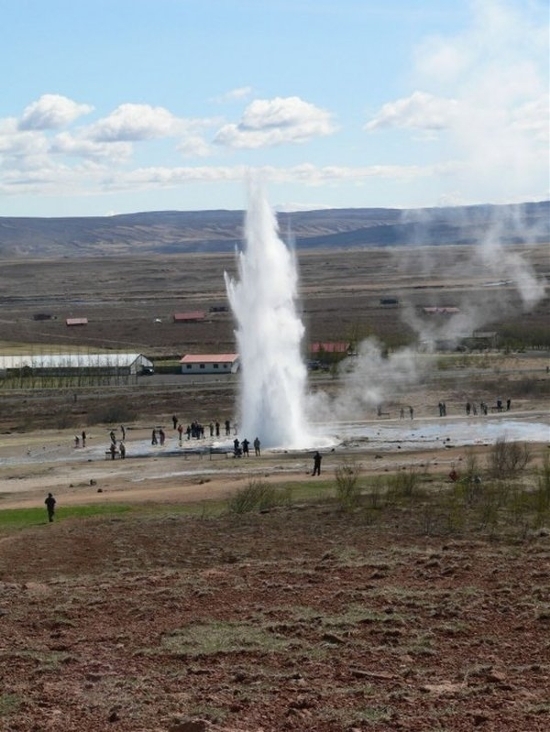 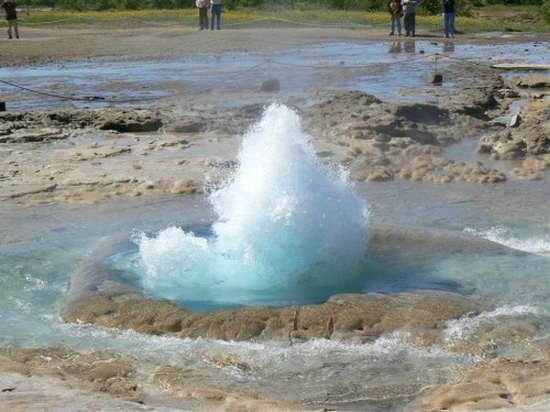 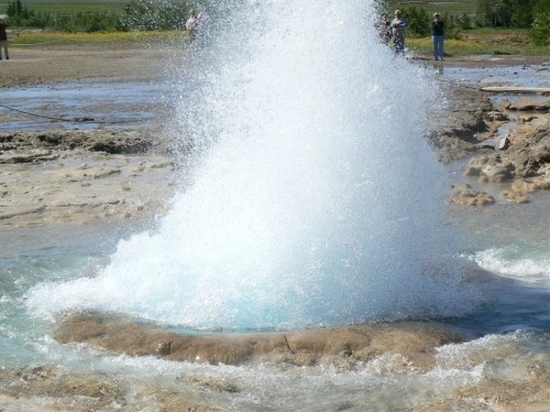 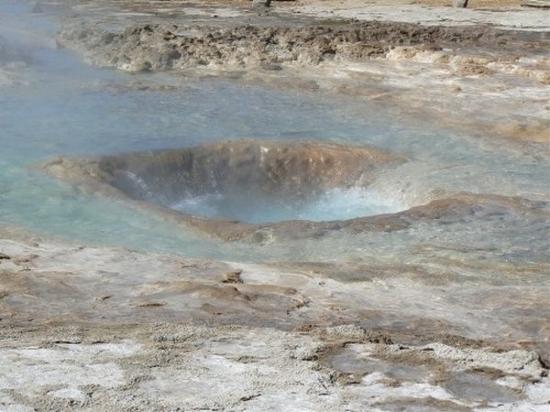 Geysers are extremely rare features. 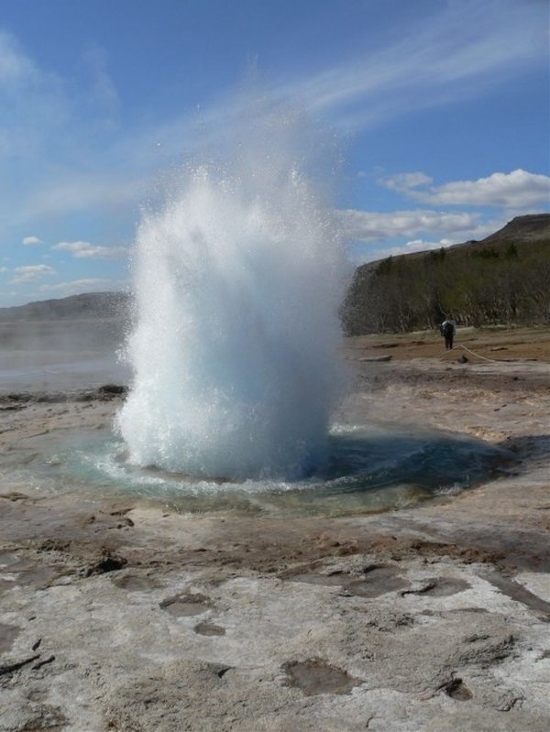 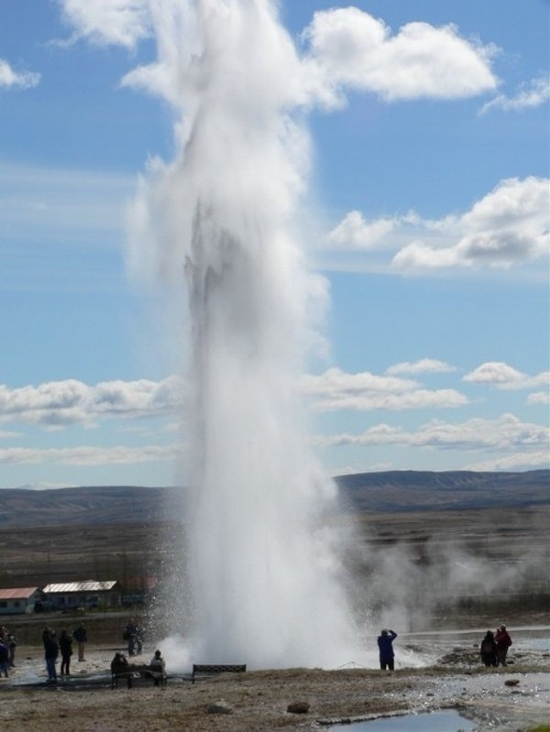 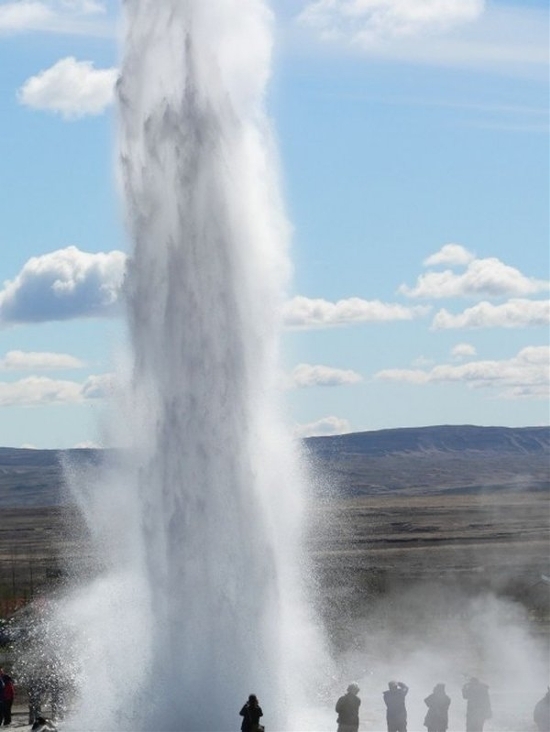 Strokkur is one of Iceland’s amazing geysers erupting about every 4-8 minutes 15 – 20 m high, sometimes up to 40 m high.